Singer/songwriter Colbie Caillat is one of the most celebrated artists to emerge from the growing talent pool of digitally-savvy self-launched artists, whose rise to prominence as the #1 unsigned artist on the popular myspace site has been largely due to her refreshing sense of understatement. With no marketing push and only the power of the music behind her, Caillat became a sensation on the social networking site. Rolling Stone highlighted her as one of the top female artists on myspace. Ultimately, her number of friends swelled to more than 100,000. Her profile has been visited over 3 million times, and she has more than l0 million plays. She's currently averaging 50,000 + a day. 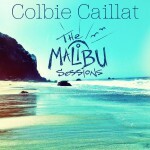 The songs on Caillat's debut album COCO mirror the Malibu-born Caillat's low-key, refreshing style. Armed with her acoustic guitar and her dusky vocals, she evokes the same gentle, yet spirited style of her musical influences John Mayer, Bob Marley, Lauryn Hill and The Weepies. The laid-back tempo of Hawaii, where she spent twice annual family vacations, is echoed in the music. "She's the real thing," stated Monte Lipman, President of Universal Republic Records. 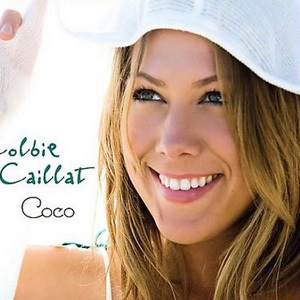 "From her unique songwriting skills to her powerful but understated presence, Colbie has connected to millions of music lovers simply through the power of her music.